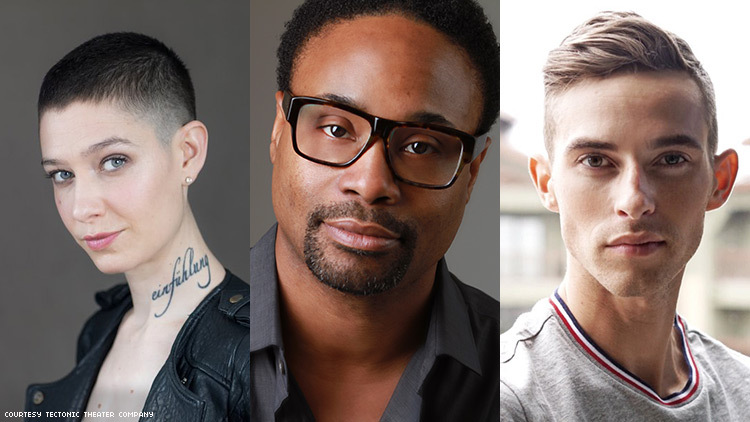 Billy Porter, Adam Rippon, and Asia Kate Dillon are some of the stars taking part in a history-making live reading of The Laramie Project. Nearly 20 years ago, members of the Tectonic Theater Project traveled from New York City to the small town of Laramie, Wyo., hoping to pinpoint a moment in American history. Weeks earlier, gay university student Matthew Shepard had been lured to the outskirts of town and murdered in a brutal hate crime, shocking the nation and sparking a painful discussion about homophobia and hate crime legislation. Today, as the 20th anniversary of Shepard's death approaches, Tectonic's play The Laramie Project — constructed through real-life interviews conducted by the theater troupe in Laramie — is one of the most performed contemporary works in the world. Many of the questions it raised in our national consciousness still feel unanswered. "We were just this ragtag company of young people, going down to see not if a play could be written necessarily, but did we have a role to play in this dialogue that was happening around this event," head writer Leigh Fondakowski tells The Advocate. "I think we had a thought that it would just be us that told the story, and when our time was done with it, it would be over." The play remains topical, maybe uncomfortably so. "I certainly dreamed, my 28-year-old self, that in the future this play would feel historical," Fondakowski says. "It would feel outdated; it would feel silly to think about something like this happening today. But it doesn't feel historical. It feels very present." Tectonic is partnering with the Matthew Shepard Foundation to present LARAMIE: A LEGACY, a benefit reading of The Laramie Project to honor the progress made over the last two decades. Taking place in New York on September 24, the event combines original company members with acclaimed actors and rising stars in the LGBTQ community. The cast includes Tony Award winner Billy Porter, Emmy- and Golden Globe-winner Mary-Louise Parker, Emmy-winner Michael Emerson, The Handmaid's Tale star Samira Wiley, Billions star Asia Kate Dillon, Olympic figure skater Adam Rippon, and viral YouTube comedian Randy Rainbow. CNN anchor Anderson Cooper will host the benefit reception. In a promotional video for the event, Porter says the experience of the play is about connecting with the story on a personal level. "We as human beings go into a space to connect. That's the point of theater." Director Moisés Kaufman, who also contributed to the writing of The Laramie Project, will direct the reading alongside company member Jimmy Maize. Kaufman tells The Advocate that the addition of today's queer icons creates a dialogue between the ideas of the play and contemporary issues facing the community. "When Adam Rippon, with his history that we all know, says these words that somebody said in the town of Laramie, how does that make us revisit that text in an interesting way?" he says. "When Asia Kate Dillon plays the role of Jedadiah Schultz, a young kid trying to figure out how to marry the religious upbringing of his parents telling him that homosexuality is a sin, with the life that he was experiencing day to day in his university — what happens when Asia performs those words? Their interpretation of those words becomes imbued with our context of who they are." Dillon tells The Advocate they were deeply affected by Shepard's death and felt more afraid to be out alone after dark in their own hometown. "I grew up in a liberal town, but I was called a f----- in that town when I was a teenager," they say. "I've been called a f----- on the subway in New York City. 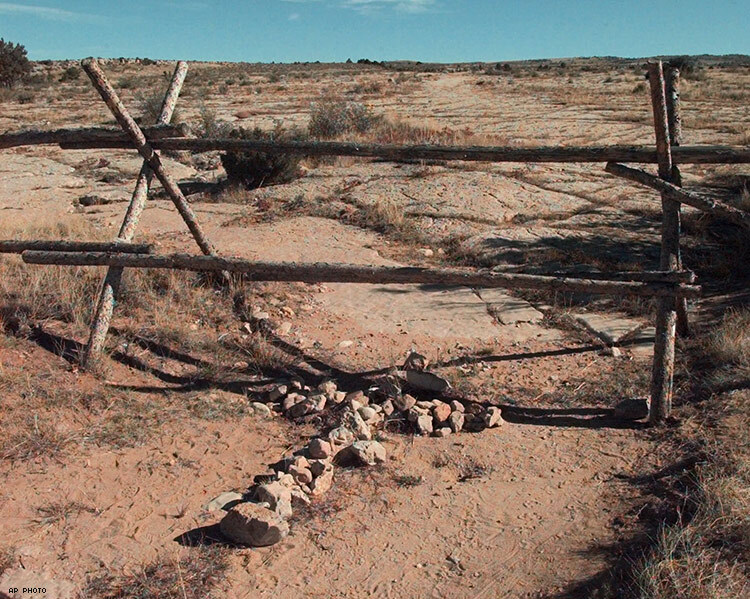 Matthew Shepard's murder, in addition to the historical political climate in the U.S., made me feel less safe as a queer person and definitely contributed to my staying in the closet in various ways." Rippon is playing the role of Aaron Kreifels, the university student who went for a rambling bike ride and found Shepard lying unconscious by the side of the road. "It's definitely an emotional part, and it's a pivotal part in the whole story of that day, finding Matthew Shepard," he says. "It's forced me to learn a lot about his story, and it's been incredibly fascinating. I tried to put myself in Aaron's shoes, and I couldn't imagine actually being there." Eight years old at the time of Shepard's death, he didn't feel the impact of that event until he grew older. "As an adult, I look back and think what a different time 20 years ago was, and how much progress we've made, and how much we still have to go." The Laramie Project takes on particular significance in light of a book published in 2013, which claimed Shepard's death was not motivated by homophobia and was simply a drug deal that ended in violence. Earlier this year, a similar narrative emerged around the June 2016 mass shooting at Pulse nightclub in Orlando, as media outlets latched onto statements from prosecutors that shooter Omar Mateen chose the club at random. Fondakowski says she's shocked at how quickly history can be rewritten or erased, as she noticed when the Tectonic Theater Project returned to Laramie to work on a second play, Laramie Ten Years Later. "When I would encounter young people and they would say, 'Oh, it was a robbery gone wrong' and kind of dismiss it, I would say, 'Do you know the story? Do you know what happened? Do you know [attackers Aaron McKinney and Russell Henderson] took him out to the site and tied him up, and McKinney beat him 27 times with the end of the gun?' Their eyes would get very wide and they would say, 'No, I didn't know that part of the story.'" Memorial site for Matthew Shepard in Laramie, Wyo. The current political climate, with its rising backlash against gender identity and threats to LGBTQ rights, adds a new level of urgency for members of the LARAMIE: A LEGACY cast. Porter tells The Advocate, "I'm so full of rage I can't see straight. I'm personally in the process of trying to figure out how I can be of some sort of service during all of this tumult." For now, he urges people to vote in the midterm elections. "Fredrick Douglas said, 'Eternal vigilance is the price of liberty.' We can't take any of our progress for granted, because there will always be energies and forces that stand opposed to equality and will do anything to blow progress up." Dillon warns against seeing political victories like marriage equality as a rubric for acceptance of all LGBTQIA+ people, pointing to rising murder and suicide rates among trans women of color and queer youth. "There is still so much acceptance, representation and visibility needed for trans women of color and gender non-conforming people of color," they say. "For all of the incredible messages I've received about how my visibility is helping people, those people who I follow on social media still receive daily death threats and the most derogatory, inhumane vitriol." At the same time, The Laramie Project serves as a reminder of the progress the LGBTQ community has made over the last 20 years, and our potential for love and compassion. "I think that it's really important for us as a community to own that progress and say, 'Look at what we made happen,'" Kaufman says. "Whether it's gays in the military or marriage equality or trans rights, we have been at this for a long time." Rippon tells The Advocate he's honored to be included, and hopes he will do his part justice. "I think it's important that we remember stories like Matthew Shepard, and the awareness that his story has brought to a lot of people. It's helped a lot of people champion around LGBTQ people in their community and their families." Dillon says the play has influenced their own creative process and encouraged them to reach a deeper level of empathy and humanity. "I think art is one of the most powerful tools we have as a catalyst for that journey. Laramie is a way in to replacing any hate in your heart with understanding, compassion and acceptance." Fondakowski adds, "People are tense and on edge, and there's a lot of aggression right now in our political landscape. When people sink into The Laramie Project, they just kind of let it all go. They're like, 'Oh yeah, there is love in the world.' To me, that's what Matthew's legacy is in this particular moment. Love, as cliche as it is, conquers hate." LARAMIE: A LEGACY takes place Monday, September 24 at 7 p.m., at the Gerald W. Lynch Theater at John Jay College in New York City. Tickets are available at laramiealegacy.org.